A lucrative black market exists for the body parts of albinos, who are believed by some to possess magical powers that can bring good luck. Now the Malawi police are under orders to shoot anyone attacking albinos in the latest bid to crack down on a rising wave of violence against albinos in East Africa. According to local media reports Malawi’s Inspector General of Police Lexen Kachama instructed the police yesterday to shoot any „dangerous criminals“ caught abducting albinos. „We cannot just watch while our friends with albinism are being killed like animals every day. We do realize that these people are ruthless, have no mercy and therefore they need to be treated just like that“, he said. As fairplanet has reported before, Albinos are living in fear of being killed in Malawi, where their body parts are increasingly being sold for use in traditional rituals that promise to deliver wealth and power. Three albinos – people born without pigmentation – have been killed and mutilated in the southern African country in the first two months of the year, the Association of Persons with Albinism in Malawi (APAM) reported. „We are hunted like animals,“ said APAM president Boniface Massah, who campaigns for the rights of Malawi’s 10 000 albinos. 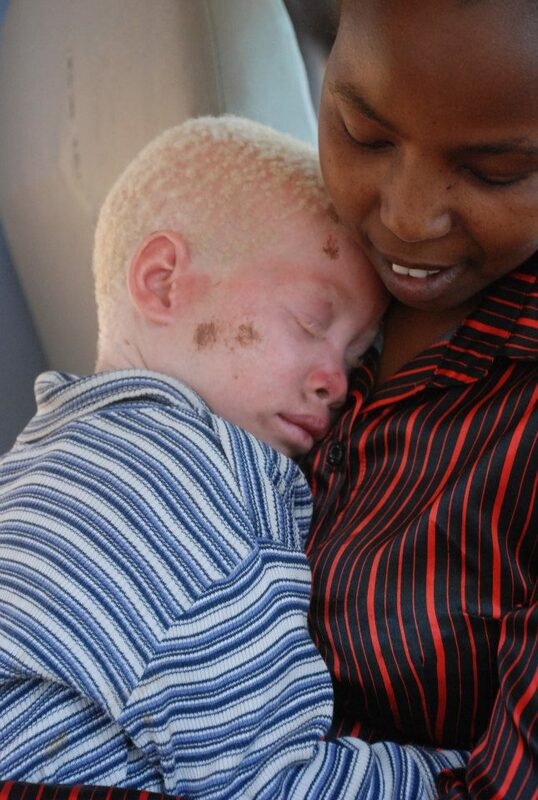 The plight of people with albinism has worsened in East Africa in recent years, according to U.N. and police figures. But shooting „dangerous criminals“ is a doubtful solution. „We have to remember that all those goons caught red-handed … are small fish – agents and executors of the big sharks out there,“ says Vicky Ntetema, executive director of Under The Same Sun, a Canadian non-profit organization defending albino rights. There have been no known convictions in Malawi for murders or other attacks against albinos in the past four years. Not even a Witchdoctor. Those will pay as much as $75,000 for a full set of albino body parts, according to a Red Cross report. „We all need to unite and find the culprits who are hiding behind the killers … Why would people kill albinos if they were not asked to get their organs by someone?“ Vicky Ntetema demands.